The millennials are more money-conscious than what the mainstream media suggests. With a long-term purview, more of them are taking active measures to secure their future. This is exactly why the idea of passive income is in the center of the spotlight right now. Aside from their day-job, working professionals are looking for ways to increase their income. Ever heard ‘a penny saved is a penny earned’? It’s true! Even if you’re saving a small amount, that can stack up to be a big amount in a few years. Open a savings account in a bank that’s offering good interest rate. And then start saving every month. In just a few years, you will find a big sum at ready, adequately securing all your future emergencies. Now, this isn’t as easy as so many people believe it to be. It’s much more than just buying low and selling high. If you want to make money from the stock market, you must understand its basic, as well as the advanced concepts. Knowing adequately will minimize your risks and maximize the returns. So, learn how to trade stocks. 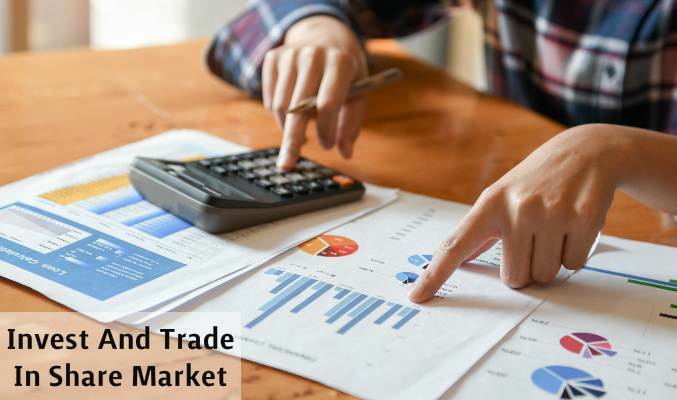 Today, you can easily find many share trading courses in India. Do your research and pick one that best fits your needs and goals. And then spend a sufficient amount of time in learning. Once you’re set with necessary proficiency, you can enter the market and earn big. Day trading could be hectic. However, investing in the right stocks can mean you’re making (big) money even when you’re sleeping. Admittedly, this might not necessarily qualify as “passive” income source. Because unlike others where you can make money with the least work, here you would have to put in a ridiculous amount of hard work. But then if you’re looking to gain financial independence and really secure your (and your family’s) future, this is the way to go. It has never been this easier to start a side hustle project even when you have a day job. The Internet has made is super simple. More of the millennials are working on multiple projects aside from their traditional jobs. In fact, this is how many startups have gotten their start. ScoopWhoop is a fine example of this. So, identify what you’re good at and what you like doing, find the money prospect in that, and then start working. Hustle. Hustle hard after returning back from your job from 7 pm to 2 am. With enough work and a high level of consistency, you can build a ‘cash cow’ that would now be making you more than full-time income. 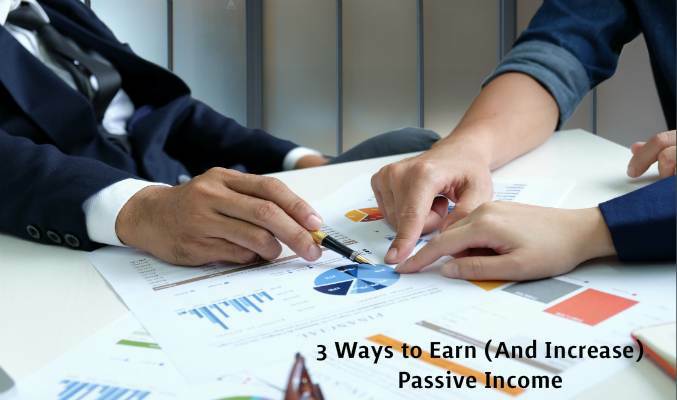 These are three ways how you can earn and increase your passive income.